One of the great things about history is discovering the unexpected, a heroic individual attached to a now quiet place, a legacy longing to be rediscovered. 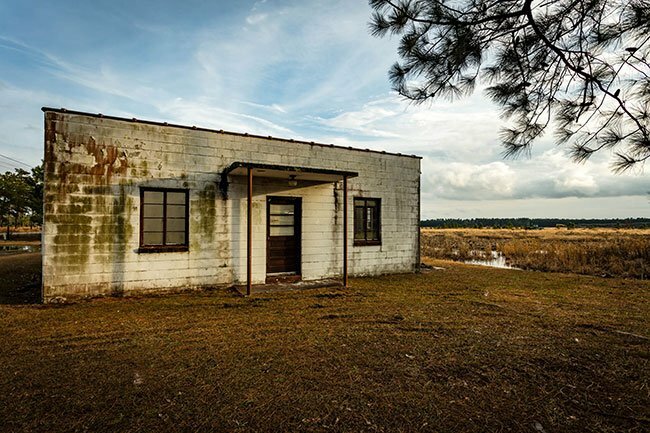 This ruinous structure along a quiet stretch of Highway 45 in Pineville in rural Berkeley County represents the life’s work of a woman who dedicated herself to helping the underserved, underprivileged, and isolated residents of South Carolina. Maude Evelyn Daniel Callen was born in Quincy, Florida in 1898; one of thirteen children, she was orphaned before the age of seven and subsequently raised by her maternal uncle, Dr. William J. Gunn. Callen was allowed to help care for her uncle’s patients, and this inspired her to pursue a medical career. 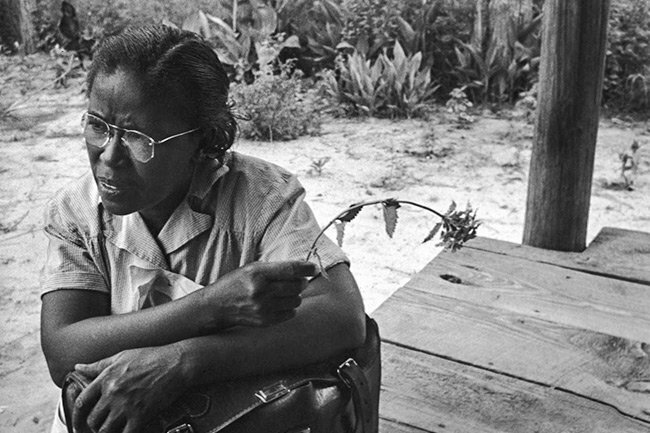 She attended Florida A&M University, and after graduation, she went on to further her education at the Tuskegee Institute in Alabama, where she earned a nursing degree. She wed William Dewer Callen in 1921, and they moved to Pineville two years later so she could serve as a medical missionary under the sponsorship of the Episcopal Church. Callen started a midwife practice in her home which lasted for 13 years. (At the time, she was one of just nine professionally trained nurse-midwifes in the state.) 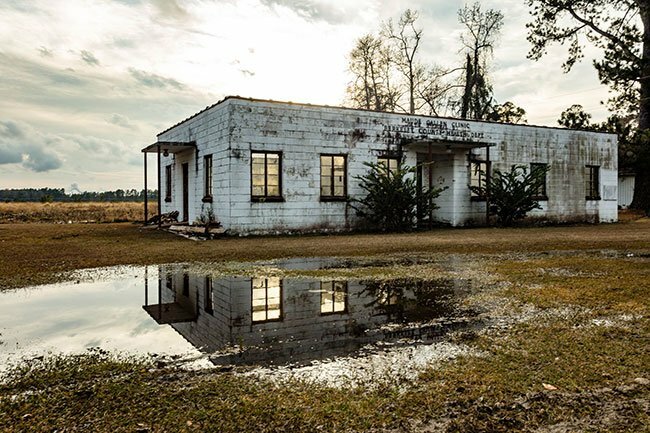 This area of upper Berkeley County was once home to many plantations, and after the Civl War, former slaves were left without access to basic services, such as medical care. 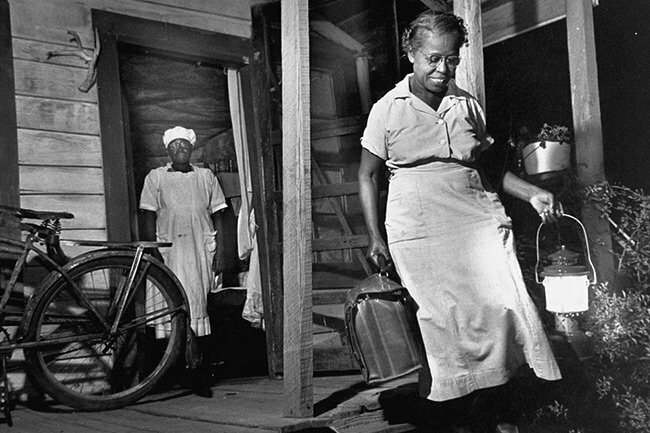 This isolation lasted through the Jim Crow era and persists to a large extent today. 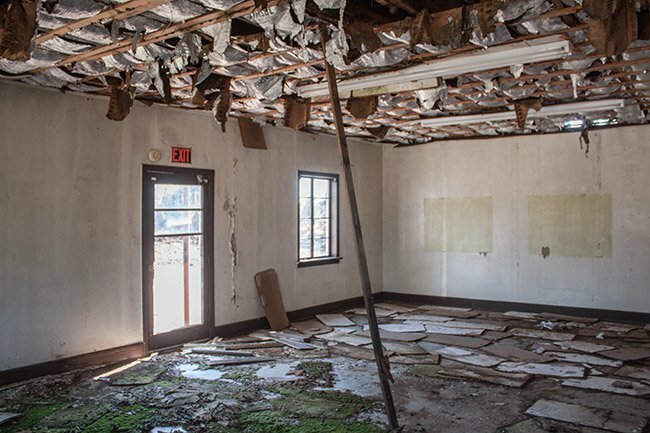 By all accounts, Pineville was remote, with most of its citizens lacking any means of transportation. Callen was typically the sole healthcare provider – and teacher – for her patients. She taught countless children how to read and write, held vaccination clinics in local schools, and distributed clothing and supplies to those without. 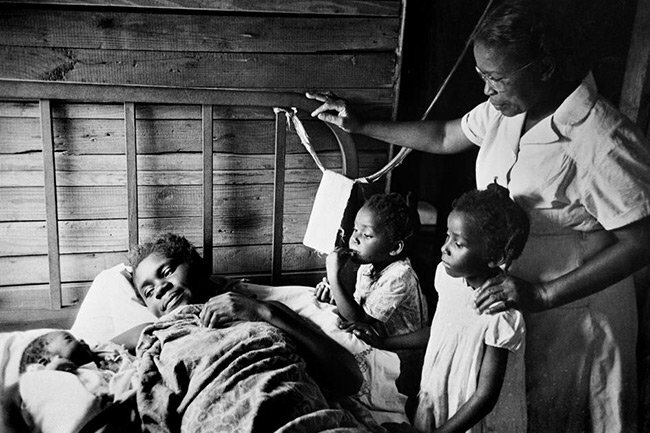 She also helped transport the gravely ill to the very few hospitals that would treat African-American patients at the time. She started the county’s first venereal disease clinic and also supported clinics for ongoing nutrition. 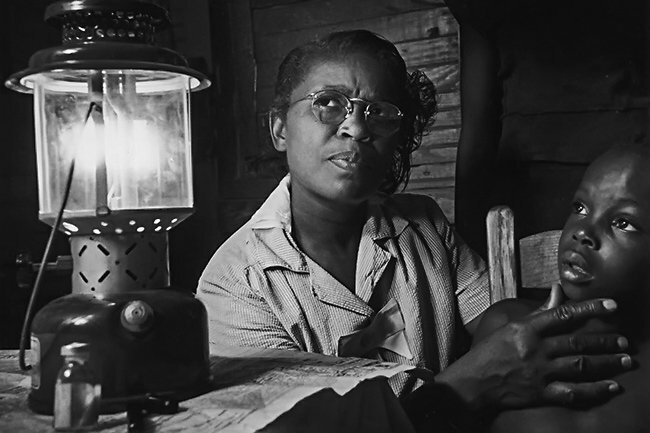 In 1935, the Social Security Act established the Division of Maternal and Child Health; Callen was then employed as a public health nurse for Berkeley County. During this time, she trained hundreds of women in midwifery to ensure further dispersion of healthcare providers in the state. In the 1940s, Dr. Hilla Sheriff also joined the Division of Maternal and Child Health and worked with Callen to further educate midwives to provide medical care. 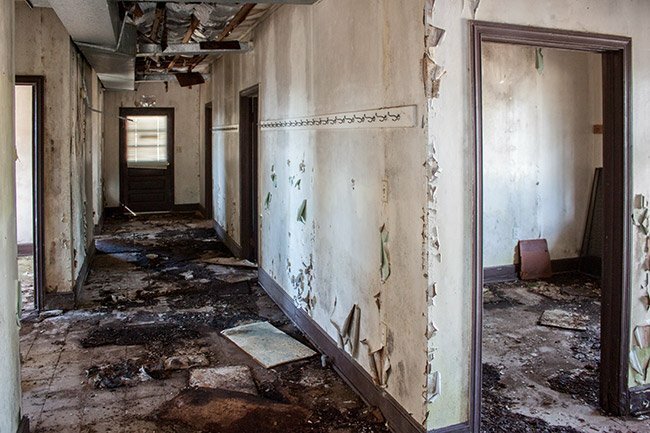 Together, they secured the use of the historic Penn Center on St. Helena Island for their Midwife Training Institute. 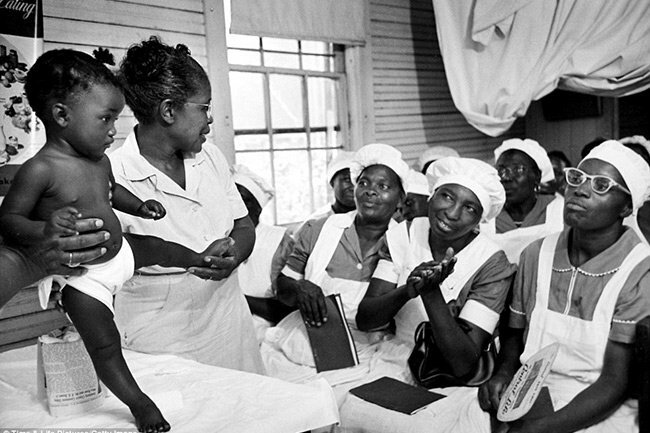 The program required midwives to return every four years to renew their licenses as a form of continuing education. Callen is quoted as having said, on turning down an invitation from President Reagan to visit the White House, “You can’t just call me up and ask me to be somewhere. I’ve got to do my job.” She continued to volunteer until she passed away in 1990. She was 92. Callen received honorary degrees from both Clemson University and the Medical University of South Carolina. A scholarship was established at the Medical University in her name and a children’s shelter, Callen-Lacey, was partly named in her honor. This residential care facility opened in Moncks Corner in 1998. Callen was awarded the Order of the Palmetto – the highest civilian award in South Carolina – and she was inducted into the South Carolina Hall of Fame. She also received the incredibly prestigious Jefferson Award for 1984, putting her in the ranks of such heroes as Elie Wiesel, Dr. Henry Kissinger, John Glenn, Bill and Melinda Gates, Oprah Winfrey, Justice Thurgood Marshall, fellow South Carolinian Marian Wright Edelman, and a string of formidable politicians, presidents, and first ladies. On November 8, 2017 – which would have been Callen’s 119th birthday – her family and former patients gathered to unveil an historical marker in her honor. 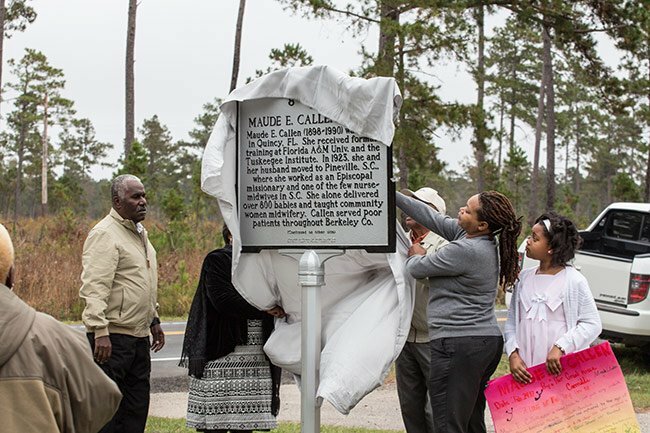 The marker was funded by two groups – Friends of Maude Callen, taking the lion’s share and the Berkeley County Historical Society generously contributing the remaining funds to complete funding. 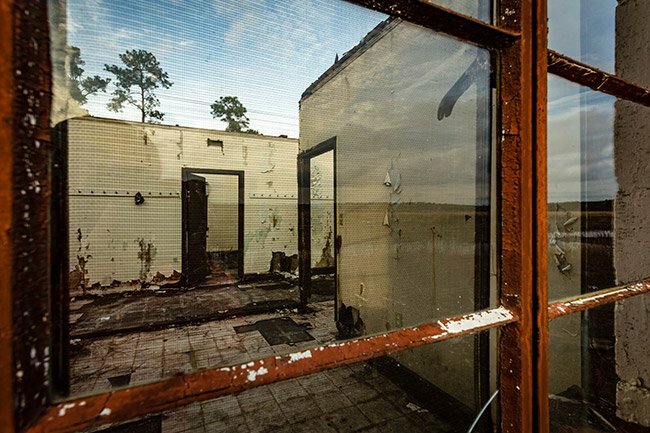 Plans are being voted on by the Berkeley County Council to determine the future of the clinic’s building. Although the plans differ, both are dedicated to her life, legacy, faith, and love for all mankind. 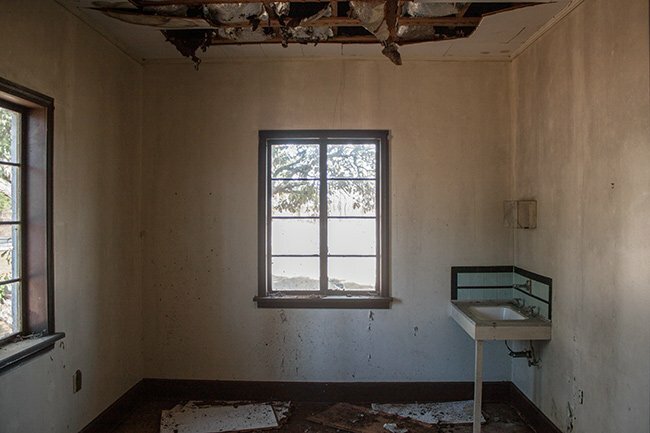 One of the plans for the future use of the clinic was to be an open-air museum of sorts, leaving the shell of the building, without roofing, for people to explore. 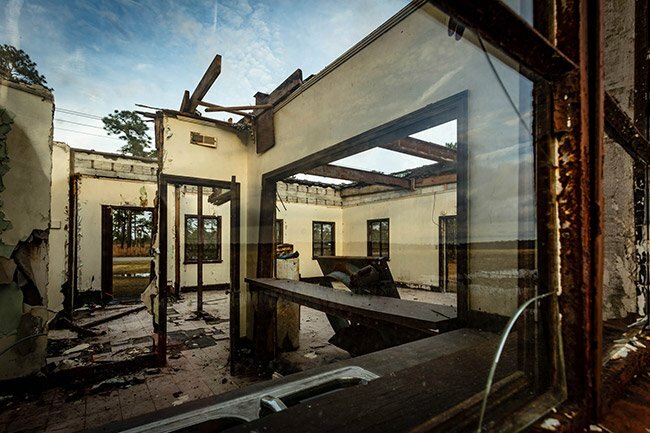 As these 2018 photos illustrate, the roof has been removed, leaving the walls, windows, and doors. Informational panels and cleanup are in future plans for the site. We were honored to share a bit of her story, she is one of our idols. How fortunate it must feel to have known her! Thank you for reaching out. Thanks so much for introducing me to this wonderful woman! Brandon, thanks for posting this article and the photos as well. I certainly enjoyed it. Keep the Picture Project alive.